No matter what anyone says, Star Fox has always been a game about being in the moment. That feeling of sitting behind the controls of a fighter craft, blasting foes away and feeling awesome because of it. Whether that be on-rails — whizzing through numerous planets’ environments — or going toe-to-toe dog-fight style in particularly thematic arenas of sorts. Heck, Starfox 64‘s (or Lylat Wars as it was dubbed here in Europe) penultimate mission in Area 6 remains one of the series’ most iconic levels for the way it encapsulated that genuine feeling of invincibility amid tense, kamikaze moments. I swear I’ve played that section so many times I have everything — from the opening lines of dialogue to the closing cutscene, to its gloriously space opera-esque theme — memorized. With that noted, is it really that surprising that Star Fox Zero — a title that, arguably, has been long overdue despite the series’ slightly-less-than-mainstream stance — aims to invoke that exact same degree of exhilaration by going back to the heart of the series’ appeal? Noted, the series’ Wii U debut isn’t a complete retread. 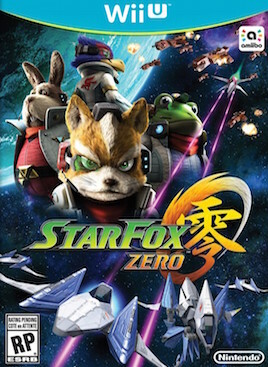 Neither is this a remake of what’s come before (we have the 3DS iteration in 2011 for that); Star Fox Zero takes the role of a retelling; an alternate tale spun around the conventions of the N64 release — a game which, at the time, was highly praised for the leap it took from the series’ debut on the Super Nintendo, both in terms of gameplay and of course, its presentation. It’s clear, right from the off, Star Fox Zero wants to be heralded in as much the same light as adding something intricate to the series, yet at the same time, bizarrely, leans so much on the 64 heydays, it’s hard not to bring up the dreaded n-word, nostalgia, when discussing the Big N’s logic and thinking here. That’s not to say nostalgia is some kind of immediate death sentence; when played right and implemented carefully enough, it can help elevate the player’s emotions as well as spark an even greater, if aged, level of immersion with past endeavours. Shadow Moses in Metal Gear Solid 4 anyone? Sadly, Star Fox Zero doesn’t even make it to being critiqued on its failure to capitalize on its insistent nostalgia and instead takes to it more with a crutch than anything. Whether that be fighting a boss with a familiar-looking ship or watching the scene-for-scene recreation of the game’s end credits, there’s a continually worrying sense of not just over-indulgence with what came before, but a generally misguided understanding on why nostalgia works. Take the opening level, Corneria — a modestly-grand opening to the tale of fighting back a planetary system-size invasion by a hostile enemy fleet — for example and while the opening shots of sweeping oceans and approaching land may complement the expected upgrade to 64’s previous running, everything else looks and feels copy-paste. An simple upgrade in visuals, just not in gameplay. 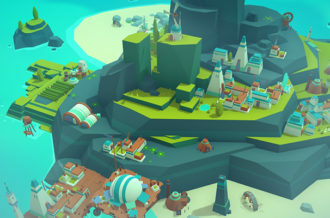 Be it the sparse environments, the familiar progression (albeit with the occasional touch-up here and there), the blocky, geometric look to buildings and certain bosses…the locales may change, but the tale is being spun the exact same way. There are admittedly brief moments of satisfaction in simply taking in the spectacle, especially when missions evolve into these arena-style “all range mode” battles with ships and enemy combatants flying in every direction. Further to that, what’s most surprising is the fact the Gamepad’s embedded presence is what conjures these minor spots of exhilaration in the first place. And mechanically speaking, the controls — at least in this context — greatly benefit when caught amidst the most hectic of these moments. 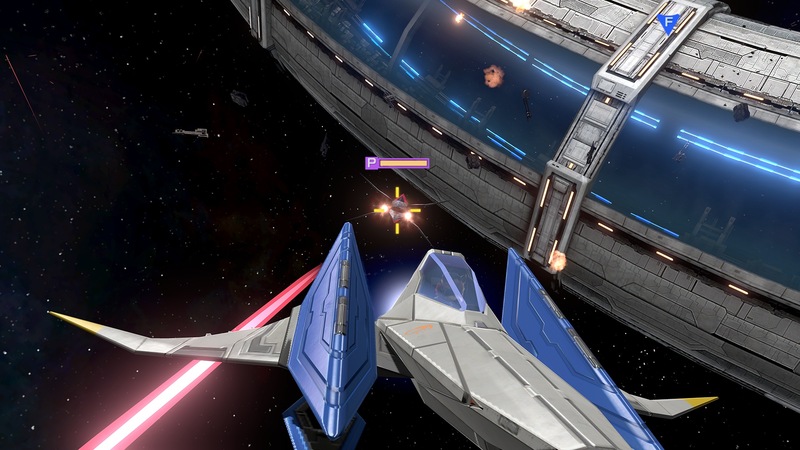 One of Star Fox Zero‘s notable features is the ability to shift focus from the series’ frontal view to a new cinematic-esque, panoramic mode where aiming is done on the Gamepad while your Arwing turns and sways through the skies and stretches of space alike. Admittedly, such shots are nice to watch; admire moreso when the scene unfolding is of, say, two fleets engaging one another or relies simply on a classic one-on-one, cat-and-mouse chase between you and a rival faction. It’s all brought forth into full view on the TV. 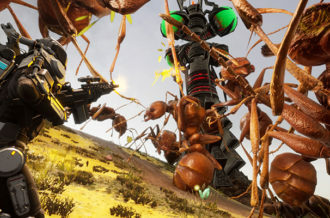 Better still, the fact this mode allows you to lock onto nearby enemies via a simple tap of a shoulder button, gets rid of the frustration of flying aimlessly in hope of catching sight of your previous target. As such, though the concept may appear confusing, the execution is a lot simpler to manage. 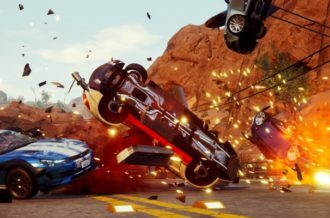 As one who was baffled, to say the least, about the game’s newfangled controls when it was demoed at EGX last year, I’m pleased to say the concern has been for nought. Yet, as noted, these examples wherein the Gamepad’s usage makes sense, are overshadowed by those that don’t. 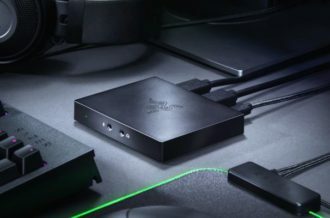 Hence we come to the dreaded gimmicks that only go to force the dual-screen experience on its player without feeling like they genuinely add or benefit the game’s pacing. Be it guiding a miniature robot through tight corridors or the fact I myself rarely used the Gamepad for what the game so repeatedly insists is a more precise aim, Zero‘s underutilized design feels like a consequence of its over-reliance on variety for the pure sake of it. That noted concern, rather than diminished, instead shifts elsewhere to other parts of the game. Worryingly, parts which may be deemed crucial components, be it the length of each mission (some lasting roughly a couple of minutes) or the very missions themselves. 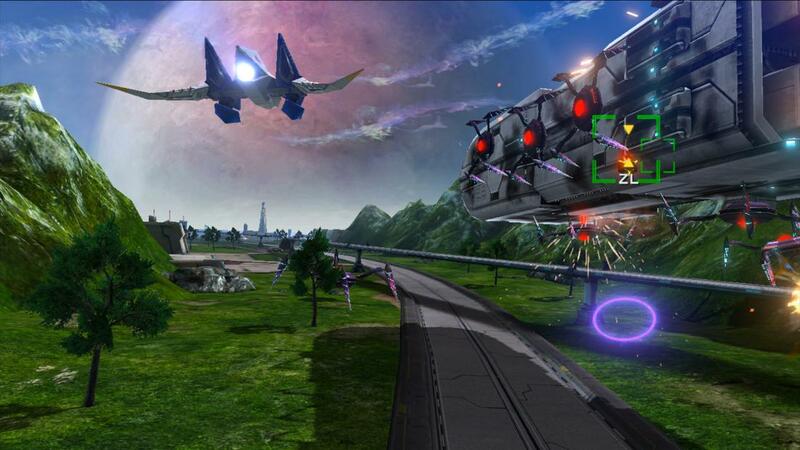 As well as the classic Arwing, players will be ordered (forced is likely a more fitting term) to jump into varying vehicles — some of which are new to the series, the Gyrowing, while others are somewhat-new, the chicken-like Walker. 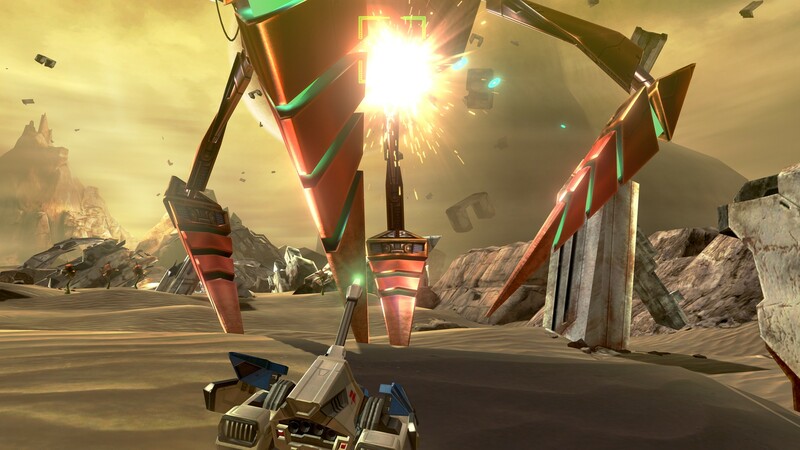 Interesting as it is for the Starfox formula to tread new ground, with the pace changing depending on the vehicle, most of Zero‘s new faces fail to even scratch the genuine fun the Arwing already possesses. This is down to a two-fold reaction that isn’t pleasant reading: they’re either hard to control, or put simply, boring to play-through. So while the Gyrowing (which gets its own stand-alone mission) feels a lot more like a rushed prototype to an early Wii U tech demo, the Walker by contrast, if integrating itself nicely into missions, is incredibly frustrating to control. An option to recalibrate or adjust the Gamepad’s motion controls and Gyroscope may have alleviated some of the woe, but the fact is the Walker’s overly-sensitive aiming and loose handling make even the simplest of moves a challenge to overcome. So it’s the trustee Arwing missions that triumph above all else and while they may still rely on that on-rails structure, there’s no denying the way the game masks this gentle guidance with vast assortments of shootable enemies and environments that bend and twist the further you venture in, definitely adds to the feeling of accomplishment. But it’s in acquiring every possible medal to each of the game’s missions that will warrant a steadfast return, only if to achieve 100% completion. 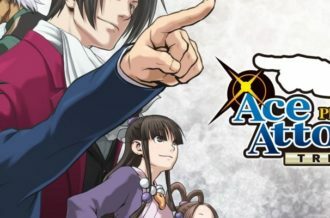 Other than that — and maybe finding out where certain alternate routes will take you, which itself will only double the main campaign’s two-three hour length — there’s not much that will keep players coming back. Thus, the most pressing matter for the game is that while it doesn’t necessarily feel unpolished, it feels wholly incomplete or unfinished. Like half a game (that probably never existed to begin with) was cut out or cut off in favour of something simpler and as such, unappealing to play. But Nintendo’s insistency on relying on the past should come as no surprise to even the most dedicated of fans. As is their recent shoulder-nudging persuasiveness to its player-base to invest in Amiibo in order to unlock what may be considered a “Hard Mode” — a neat add-on in modifying your Arwing, and by extension the gameplay’s difficulty, locked behind a figurative (in every sense of the word) pay-wall. Despite all these pressing and quite glaring faults, there is a good game and pleasant experience to be salvaged from out of Star Fox Zero’s momentary, lofty set-pieces and short-lived moments of daring adventure. A lack of notable multiplayer outside co-op and a seemingly over-before-it-even-began main campaign will leave many feeling short-changed, but it’s Nintendo’s insistency on relying so much on the past and pushing that to the forefront of what the game objectively offers, that will linger much longer in the memory than what the occasional fun in the cinematic change in perspective or a particular mission’s progression, will bring. Reused dialogue is one thing, but simply altering a solitary word does not equate to change. Star Fox Zero is a good game to play and it’s one many will get stuck into through some frantic attempt to rack up an even greater high score. Just don’t be surprised if that franticness ceases short of what you may have initially come to expect.